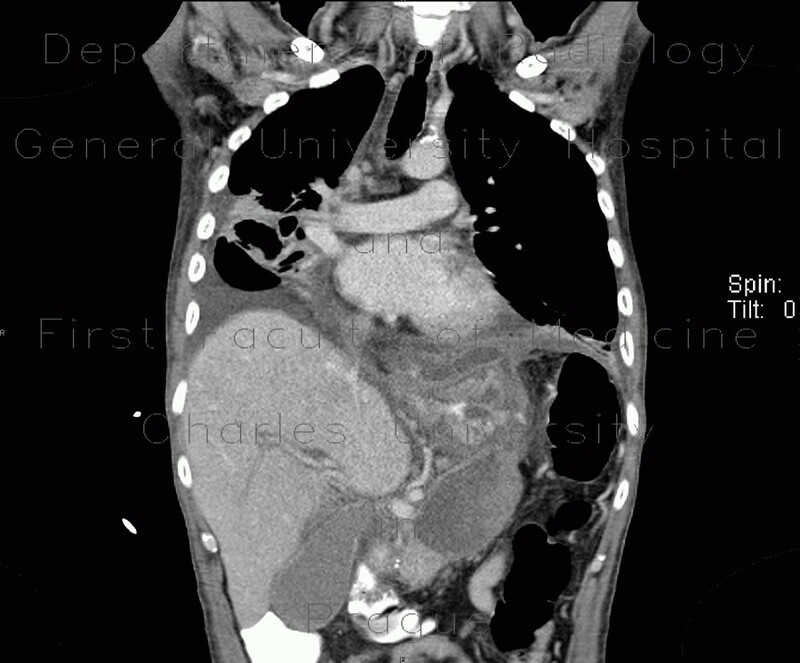 CT shows inflammatory edema of mediastinal fat which extends from the abdomen. The cause is acute exudative pancreatitis. Note also bilateral pleural effusion and compressive changes of adjacent lung parenchyma.